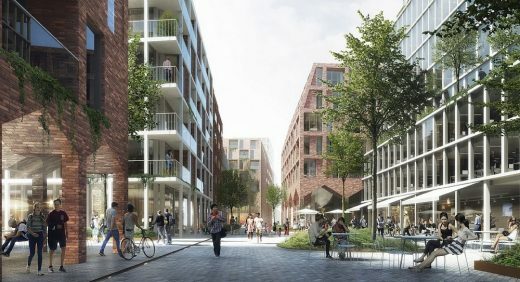 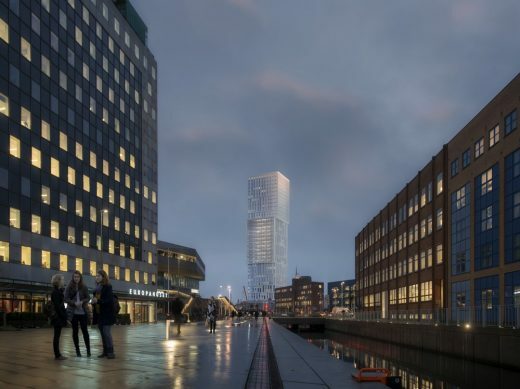 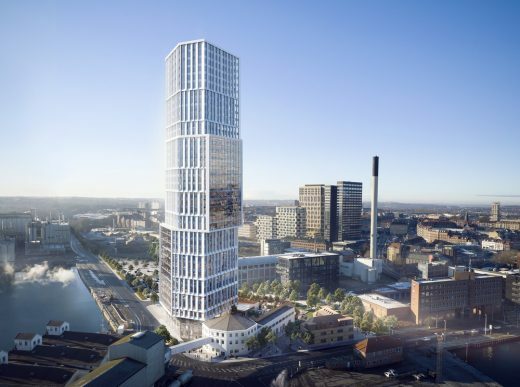 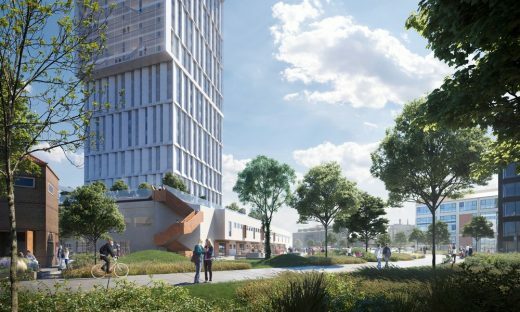 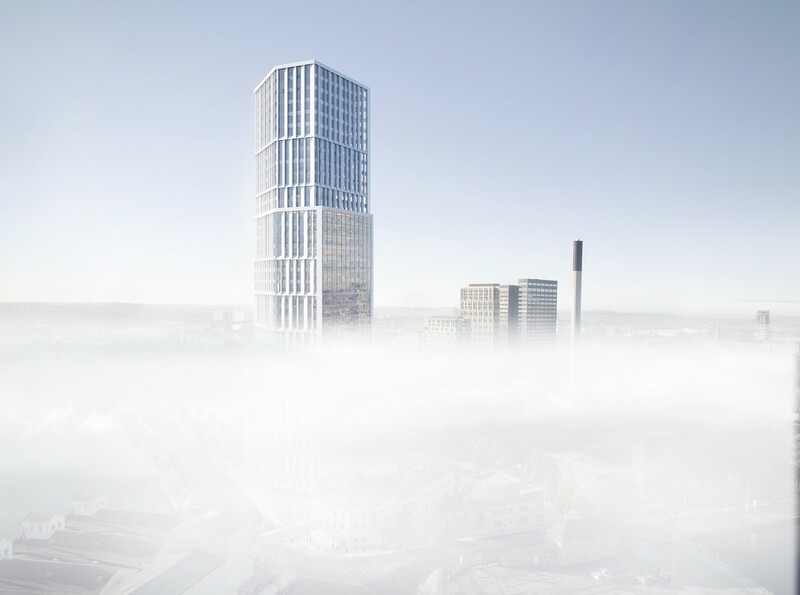 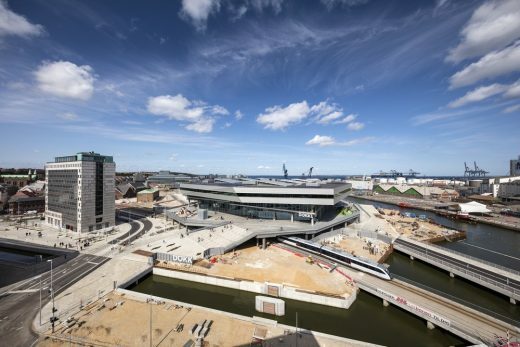 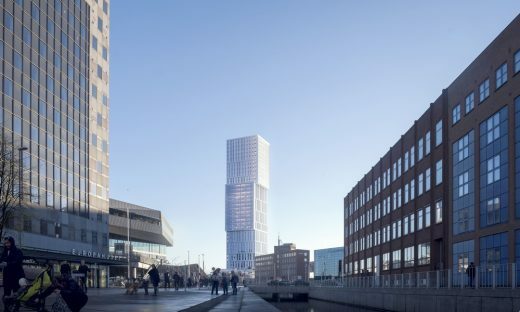 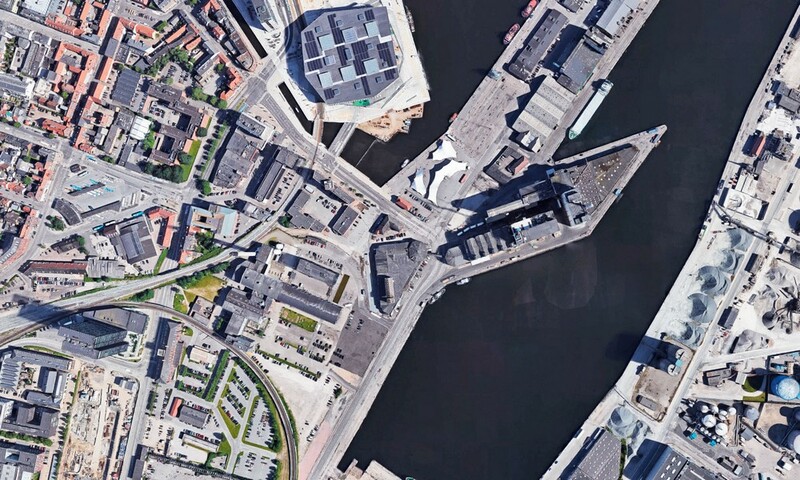 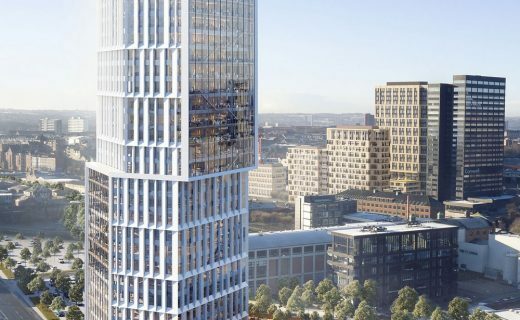 At Mindet 6, close to the Port of Aarhus, a bright, sculptural tower and landmark will combine city life and cultural history with attractive new cultural and business facilities, together with public restaurants. The starting point for the tower is an existing historical industrial complex, with its legacy of the port’s industry and culture in former times. The impressive building structure will be preserved and supplemented with a new tower. The tower will be integrated into the existing complex, from which its basic geometry will be derived. 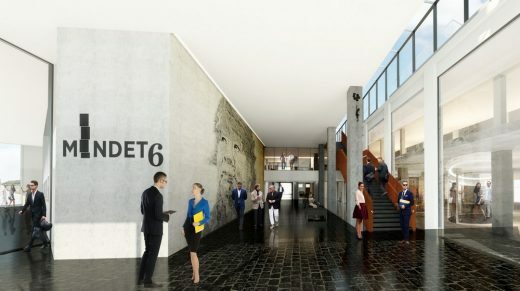 The historical qualities of the existing building will continue to be apparent, and will also gain new life from being opened up towards the surroundings, to create attractive outdoor and indoor relations. 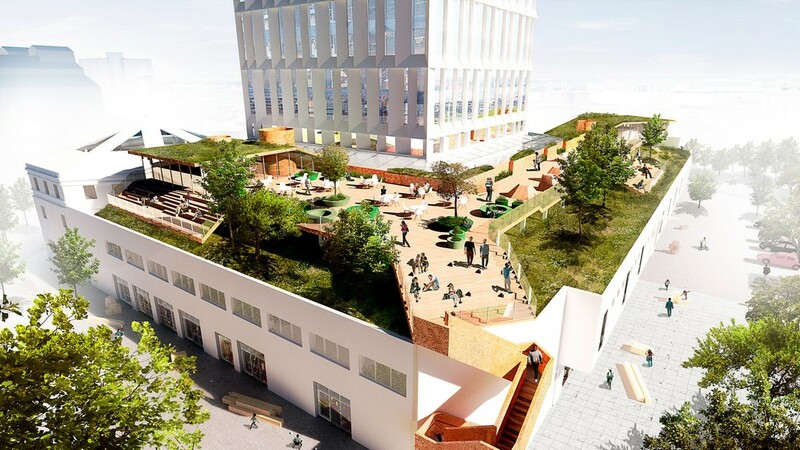 On the roof of the old building, a new, publicly-accessible green rooftop garden environment will be established, and will include a restaurant, orangery and kitchen gardens. 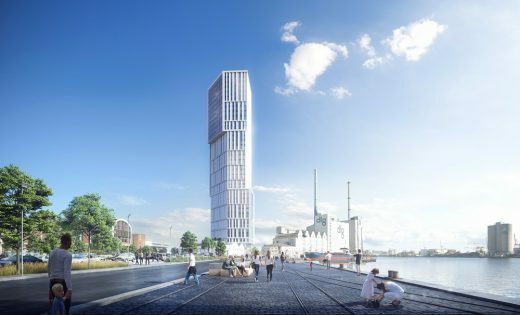 The actual tower is designed as a bright and slender sculptural landmark, contributing vertical green foyers to both the near and wider urban context. 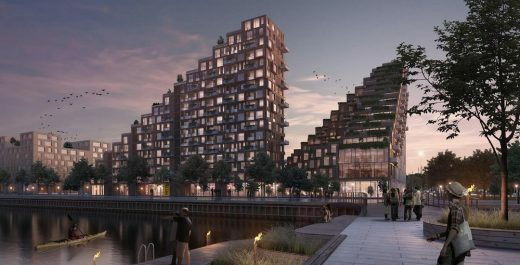 The facades are built up with a spatial relief in light terrazzo, which is shaped to mirror the sun’s orientation, with focus on ensuring optimum daylight conditions, a good outlook and a healthy indoor climate. 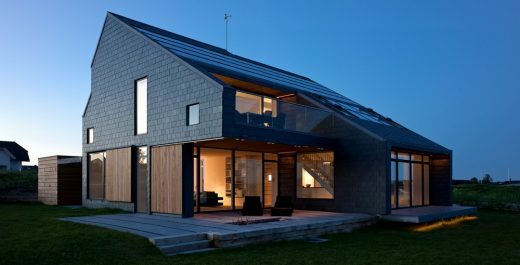 The building’s geometry means that the building’s profile is oriented to every side, with a characterful and textural effect on several scales. 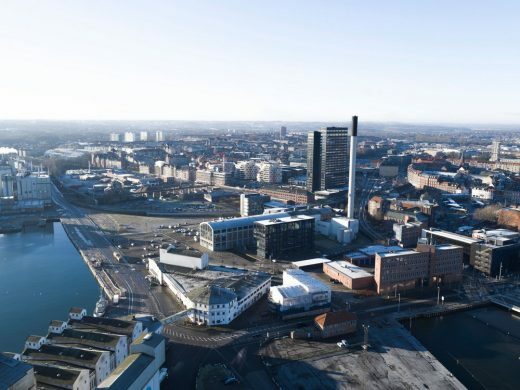 The location’s potential, with its proximity to the city and the sea, favourable daylight conditions and outlook, and historical structural legacy, thus serves as the backdrop for a very special atmosphere, ensuring a unique project that is clearly anchored in the location’s industrial history.